Day of Peace and Reconciliation is a Mozambican public holiday celebrated on October 4. It commemorates the end of the civil war that lasted for over fifteen years. 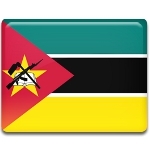 In 1975, Mozambique proclaimed its independence from Portugal. The control of the territory was taken over by the revolutionary Communist party FRELIMO (the Mozambique Liberation Front). In 1977, President Samora Machel established a one-party Marxist state. In response to this, the anti-Communist movement RENAMO (the Mozambican National Resistance) started a rebellion against Machel's regime that soon developed into a full-fledged civil war. Peace talks began in 1990, four years after the death of Machel in a plane crash. On October 4, 1992, the FRELIMO and the RENAMO signed the Rome General Peace Accords, officially ending the Mozambican Civil War. The anniversary of this event was designated as a public holiday named Day of Peace and Reconciliation. Day of Peace and Reconciliation is a national holiday widely celebrated throughout the country. It is marked with official speeches and ceremonies, parades, sporting competitions, performances, and other festive events and activities. The main celebration is held in the capital city of Maputo.